According to the Daily Express, Manchester United-target Toby Alderweireld hinted at wanting a move to Old Trafford this summer. The £70m-rated defender has been linked with a move away from White Hart Lane amid interest from Jose Mourinho and admitted he has his own idea of where his future should lie. “I have another two years contract. Tottenham decides about my future. Of course, I have my own idea. But that is not the case now,” he said. The Belgian international led his country to the semi-finals of the 2018 World Cup in Russia, but his antics at club level haven’t been too impressive in the last 12 months. 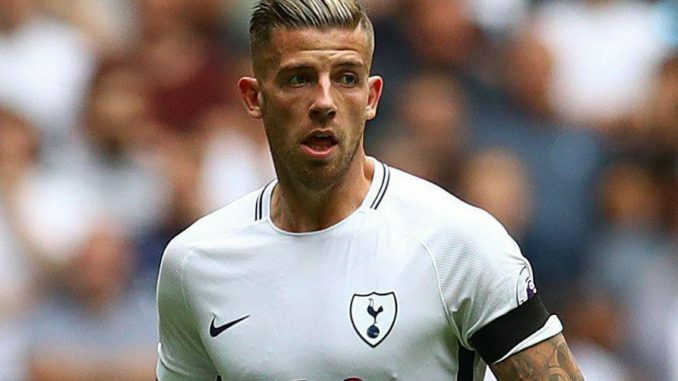 Alderweireld lost his place in the Tottenham side last season and is rumoured to be unhappy as a result. And with United said to be after a new centre-back, the 29-year-old could be tempted. Mourinho has lost Daley Blind to Ajax and could also lose Marcos Rojo this summer, with the pair having being used sparingly in 2017/18. Even Victor Lindelof has been linked with an exit. The Red Devils would be left with Eric Bailly, Phil Jones and Chris Smalling who won’t fill fans too full of confidence ahead of the new season, so a replacement might be needed. Alderweireld won’t come cheap at £70m and his advancing age might put off Mourinho, but it seems apparent the defender is open to a move nevertheless. No thank you Toby it is only Mourinho who wants you, the team don’t need you and the fans want to see an upgrade or even better still a youth system player involved in the first team.